From the moment a little miracle is conceived, there’s no doubt that pregnancy and childbirth take their toll on a woman. As a baby develops in the womb, changes in hormone levels, the introduction of unfamiliar emotions combined with the significant physical changes to the body, make pregnancy one of the most significant transitions a woman is ever likely to experience. One of the most prominent changes a woman may notice is in her skin. As the body expands to make room for a new mum to protect, nurture and grow her precious bundle of joy, weight gain and hormonal changes can lead to many changes in the skin including stretch marks, an increase in cellulite, dimples and loss of hydration leading to dry patches. Additionally, as many anti-ageing products contain harsh chemical retinoids derived from vitamin A are ill-advised during pregnancy due to the potentially harmful nature of the ingredients, the visible signs of ageing can creep in including fine lines, lack of hydration and wrinkles. Skin complaints don’t just begin and end with mum. Once the baby arrives into the world, conditions such as cradle cap and dry patches may form as the delicate skin cells are exposed to their new environment. But, despite these common skin concerns, motherhood is a time of joy, and we’ve got just the solution for mums and mums-to-be to wave those skincare woes goodbye so they can focus on protecting their precious baby. Biologi’s natural Bf serum is made from 100% extract of Finger Lime and is the completely natural skincare solution for all your mother and newborn skincare needs. Finger Lime is a native Australian fruit chosen by Biologi as an extract for our full body serum because of its potent actives that help improve moisture retention to hydrate, nourish and repair the skin. This has been proven to reduce the signs of ageing, increase skin elasticity and suppleness, improve skin tone and brightness and decrease spots, blemishes and dimples. Biologi’s first-of-its-kind extraction method replicates the plant’s internal process which means we’re the first manufacturer in the world to produce this extract as a retail product without the use of synthetic agents to activate the natural ingredients or make the product foam, smell, or…well, work. Not only is Bf serum free from additives and harsh synthetic ingredients making it safe for mum and bub, but it’s also jam-packed full of powerful phyto nutrients that work in synergy to provide you with a 100% active, completely natural product that treats a range of mother and baby skincare issues. Keep reading to find out how Bf serum can take care of your skin from pregnancy right through to protecting the skin of your newborn. Causes: When skin grows as a result of rapid weight gain, the sudden stretching may cause tears in the middle layer of skin forming purple or silver-coloured stretch marks. While these may fade over time, once established, there’s no guaranteed cure for stretch marks, so the ideal solution is to try and avoid them altogether by keeping skin nourished and hydrated as it grows. Finger lime is potent in natural vitamin C (which is different to synthetic ascorbic acid) which increases the suppleness of the skin, reduces fine lines and wrinkles and improves the elasticity of the skin. This reduces the potential for stretch marks as your body grows to make a home for your baby. It’s also a powerful alternative to anti-ageing products that contain harsh retinol ingredients derived from vitamin A. 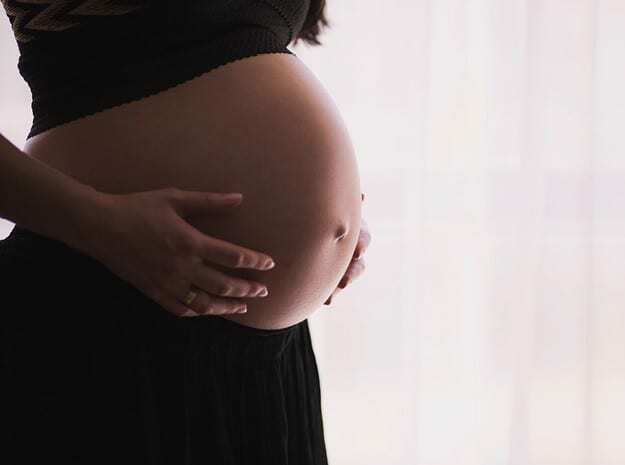 Causes: While pregnancy itself may not accelerate the ageing process, those who are pregnant may have to stop using their regular range of anti-ageing products as the harsh ingredients added to make them work may not be considered safe to use during pregnancy. Byangelicin is a flavanone that improves collagen and elastin production in the skin helping to reduce the onset of fine lines and wrinkles. Combine this with the power of natural vitamin C, and you have an everyday serum that can help reduce the signs of ageing without the use of chemicals that could potentially harm your growing or breastfeeding baby. Causes: Cellulite occurs when fat deposits grow through the connective tissue and display as bumps or dimples, generally in the buttocks and thigh area. Pregnancy itself may not directly cause cellulite, but weight gain can undoubtedly be a significant contributing factor. Byangelicin is known for its anti-glycation activity. Glycation is the process which causes collagen to become stiff and malformed so reversing this process helps to reduce the appearance of cellulite and dimples. Causes: Cradle cap is a common condition that can last up to two years. An excess of sebum production can leave a baby’s scalp with dry and flaky skin. Because their skin is no longer surrounded by protective fluids and is still adapting to exposure to air, we recommend a product that is delicate for sensitive newborn skin, yet powerful enough to hydrate delicate skin cells. Ferulic acid is an antioxidant that helps to protect and preserve plant cells. Ferulic acid works by dissolving the cellular glue and promoting the skin’s natural hydrating processes rather than adding hydration from the outside with the use of chemicals found in some moisturisers which have the potential to block pores. Causes: Exposure to chemicals found in urine can cause a nappy rash that can be painful and sensitive. To protect a baby’s delicate areas, barrier creams are recommended to stop the chemicals from penetrating the deeper layers and causing discomfort. Unfortunately, these creams can also prevent the same chemicals from getting out and can block pores stopping them from breathing and disrupting the skin’s natural hydrating processes. Prevention is better than cure for nappy rash but common products designed to help the condition contain harsh chemicals which could cause sensitivity that leads to the condition. Protect delicate babies skin with tryptophan, an alpha amino acid which builds protein hydrolysate moisture into the skin to keep skin smooth, supple and, perhaps most importantly, giving it air to breathe to avoid irritation caused by chemicals becoming trapped. Bf serum is a serum that is safe to use every day to treat the full range of mother and baby skin conditions. Reduce the impact of pregnancy on your skin, shop for Bf serum today.